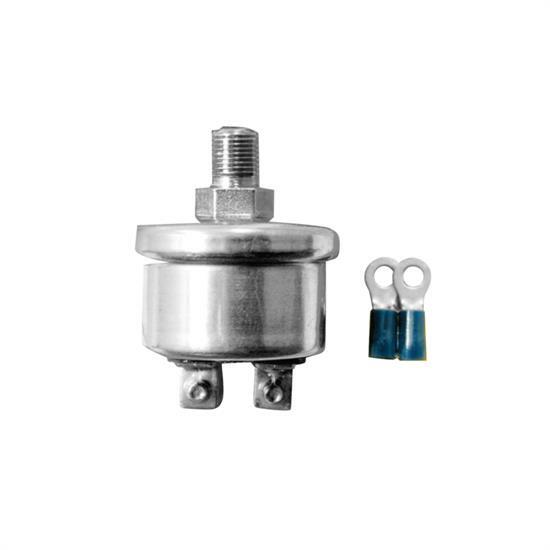 This automatic shut-off switch shuts off the ignition or an electric fuel pump when pressure drops below 12 psi. Prevents engine damage, helps prevent fires, and keeps the motor from starting until oil-pressure rises. Should be used with a momentary bypass switch (913-64381).